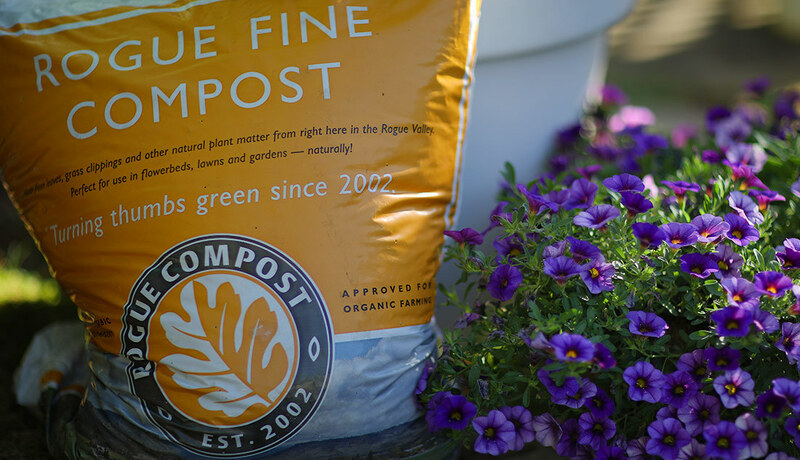 Rogue Compost offers consistent, high-quality compost — delivered to your door, available for pick up at the Transfer Station, or in bags at select local retailers. It’s never been easier to get the best local compost in the way that works best for you. Rogue Compost has a full-service fleet of delivery trucks to meet your compost needs. We can deliver bulk products from 1 to 60 yards per trip, as well as handy 2-yard totes. With so many options, leave the hauling to us and relax. 1 to 10 yards: Our single-axle dump truck can deliver one to 10 yards and excels at getting into smaller spaces. If you can park a good-sized car there, we can deliver it there! 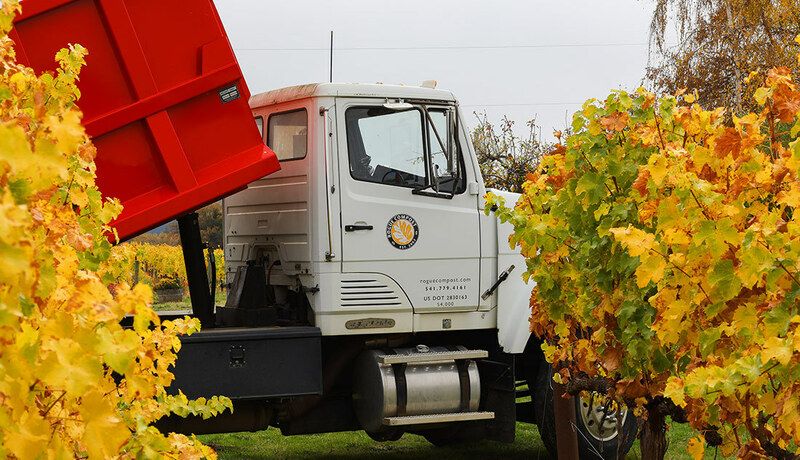 Bags and totes: Our flatbed truck can transport a forklift to deliver and place 2-yard totes on and around your property. Up to 45 yards: Our full-size dump truck can haul up to 25 yards in the truck and an additional 20 yards in the trailer. Because of the truck/trailer size, access may be limited based on site constraints. Up to 60 yards: Our belt trailers can haul 50 to 60 yards per load, depending on the moisture content (weight) of the material you’re having delivered. 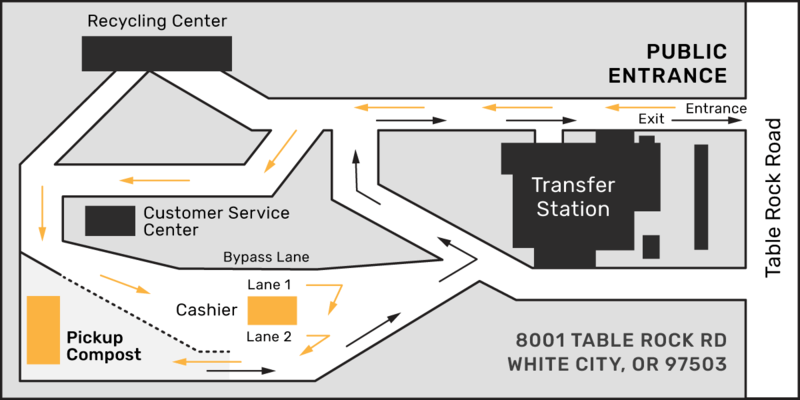 At the Transfer Station in White City, you can pick up Fine Compost, Medium Compost, Grower’s Blend and Red Bark. Rogue Medium Compost comes in bags or bulk, and all other composts and yard materials are sold in bulk, by the yard. Check the webcams to see what the line looks like right now. Once you’re on site at the Transfer Station, head to the cashier to pay for your compost. You will then be directed to the compost pick up area to complete your purchase. You can also pick up Rogue Fine Compost by the bag at the following local retailers. Need to open a commercial compost credit account? If you’re a commercial customer who uses large quantities of compost on a regular basis, consider opening a credit account to help speed the ordering process. Picking up at the Transfer Station? Check the webcams first to see what the line looks like right now. Learn about our process for making organic certified compost.